Boards that want to steer short-term growth and long-term sustainability must be grounded in their reason for being in all they do. Purpose is the driving force of any thriving organization. It mobilizes employees, clarifies long-term goals, enables transformational change and buttresses a sustainable and flexible organizational culture. According to EY’s 2017 survey, How Can Purpose Reveal a Path Through Disruption?, 75 percent of global executives at purposeful companies said a human-centered, socially engaged conception of purpose that seeks to create value for a broad set of stakeholders drives short- and long-term value. The fact that change is accelerating in today’s business landscape makes purpose even more imperative. Sixty-six percent of leaders said their company is taking steps to profoundly rethink their purpose as a result of the current disruptive environment, according to the EY study. Despite this, many board directors seem to be behind the curve. Only 50 percent of boards in European countries are clear or very clear on the connection among purpose, culture and long-term strategy, and have spent time ensuring they are well-aligned. That’s according to Board Leadership in Corporate Culture: European Report 2017, produced by Board Agenda and Mazars in association with INSEAD. Brazilian beauty brand Natura illustrates the power of a purpose-driven board. The company aims to build a better world through a commitment to transparency, sustainability and well-being. That purpose is the driving force behind the company’s effort to become the first publicly traded B Corporation, its decision to source natural products from the Amazon and its use of local trade to incentivize communities to protect the rain forest. It also is the North Star for any major decisions being made by the company’s board of directors—such as the company’s purchase last year of cosmetics chain The Body Shop. When The Body Shop opened more than 40 years ago, it set out to prove that businesses could be a force for good. The company built a global brand with an activist reputation by leading the charge for ethically sourced ingredients in the cosmetic industry and taking up causes such as banning animal testing in Europe. But as these standards became commonplace across the industry, The Body Shop lost its purpose-driven competitive edge. It stopped evolving. After beauty-giant L’Oreal purchased the company more than a decade ago, sales suffered and L’Oreal began looking for a buyer. In October 2017, Natura’s board of directors approved the purchase of The Body Shop for €1 billion. “On the first evaluation, we were a little skeptical,” Natura co-founder and co-chairman of the board Guilherme Leal told Ethical Corporation. “Would we be able to manage a network of 3,000 stores?” But ultimately Natura could not resist the opportunity to drive its expansion into a global, multichannel brand by acquiring an organization so aligned to its purpose. The feeling was mutual. 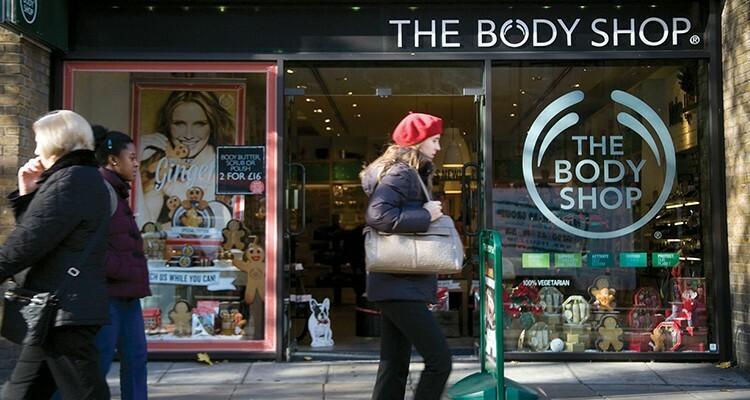 The purchase would allow The Body Shop to return to its activist roots, says Christopher Davis, the company’s international director of corporate responsibility and campaigns. The acquisition brought under one corporate roof three brands committed to sustainable and ethical business practices: Natura, The Body Shop and Aesop, an Australia-based skin care brand that Natura purchased in 2012. All three businesses aim to develop vegetable-based products, reject animal testing, use traceable and sustainably sourced ingredients and promote fair trade with suppliers. To ensure these brands stay on track—in terms of both purpose and profit—Natura’s board has shaken up its management structure, adding an executive chairman of the board to its ranks. This person will be responsible for supporting the board’s implementation of Natura’s global vision and strategy while supervising the three brands. A purpose cannot exist in a bubble, just floating above a company’s day-to-day operations. To ensure purpose permeates the organization’s actions, boards should evaluate its impact every year in annual reviews, Mr. Neumann says. At seasoning company McCormick & Co. Inc., the board of directors embedded purpose-led performance as one of the five principles—along with passion to innovate and commitment to people—that make up the company’s strategic road map. McCormick’s purpose is to deliver industry-leading financial performance while “doing what’s right, with responsibility to the long-term vitality of people, communities and the planet we share.” To ensure that McCormick is delivering on that principle, the company published the 2017 Purpose-Led Performance Report. It charts McCormick’s progress against specific goals such as diversifying the supply chain, reducing its packaging carbon footprint and increasing the number of employees who participate in voluntary health and well-being programs globally. 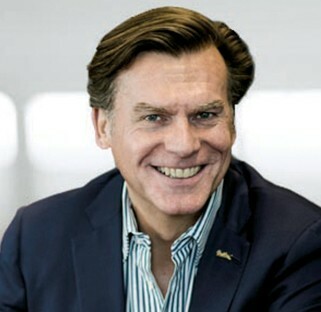 That is a lesson Mr. Neumann learned well as CEO of Rezidor Hotel Group. At the time, the business’s stated purpose did not fully resonate throughout the organization—it was clear to management and the board but not to the company’s global workforce. That is a death knell, he says: If a purpose is not widely understood by employees, a company will not perform at its optimum level. Mr. Neumann’s team then took the new purpose to the board for feedback and approval. “Boards and management teams should closely collaborate—utilize the experience and knowledge board members have,” he says. Ultimately, the company changed its purpose to “every moment matters” and communicated that message across its workforce via a detailed communications campaign.